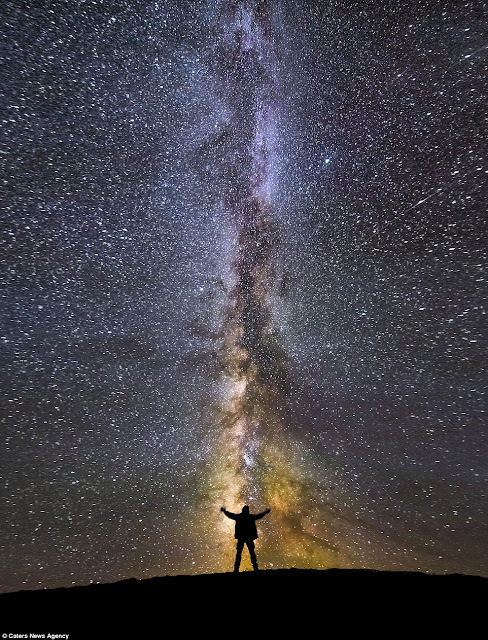 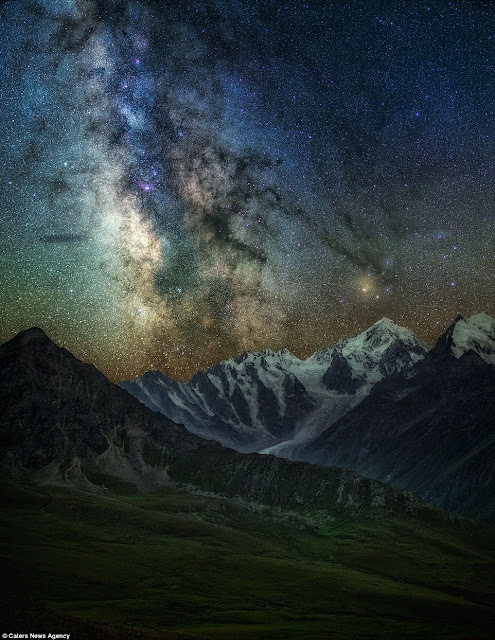 These are the spectacular images of the night sky showcasing the magnificence of the Milky Way in all its glory. 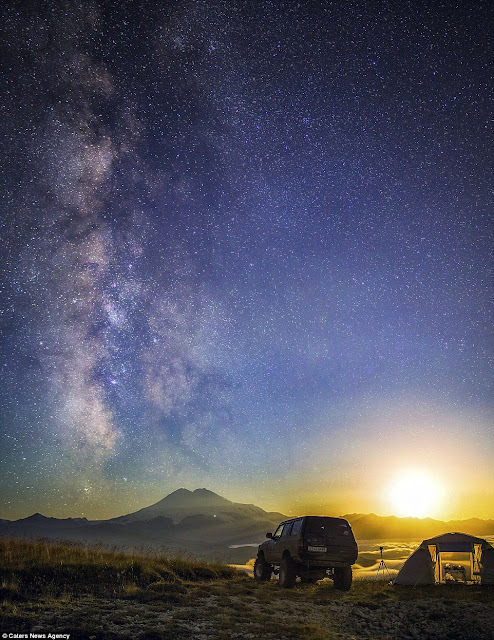 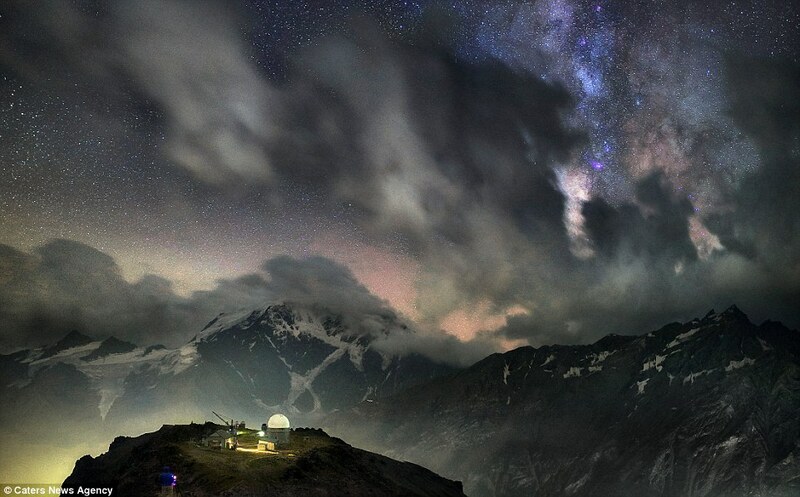 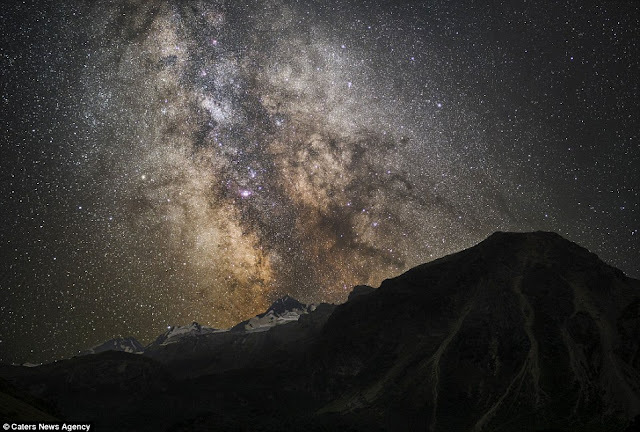 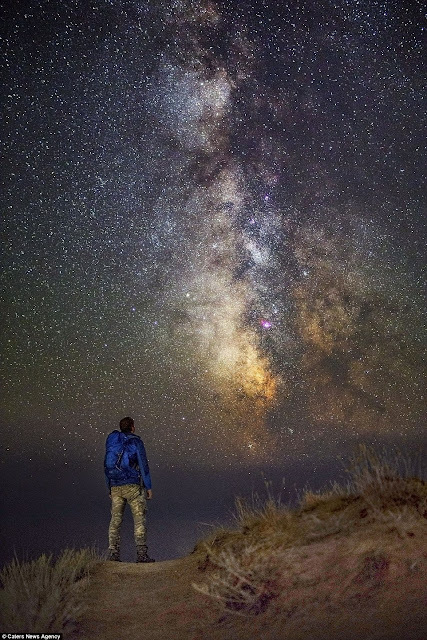 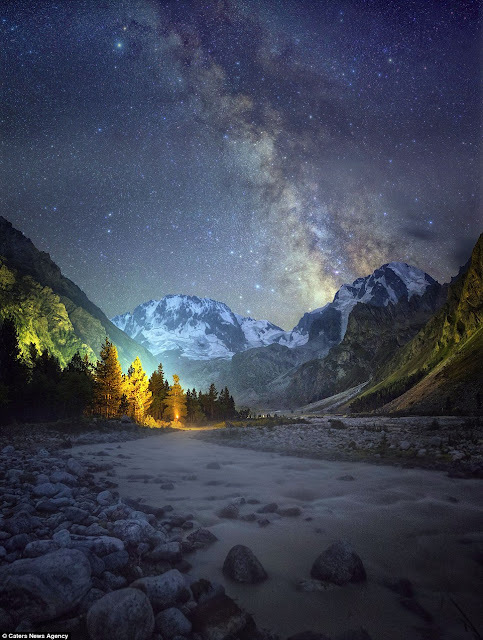 Captured by Russian ambulance driver Boris Dmitriev, 30, the stunning images expose the beauty of the night sky looming above rural Russian meadows and Georgia's mountainous landscapes. 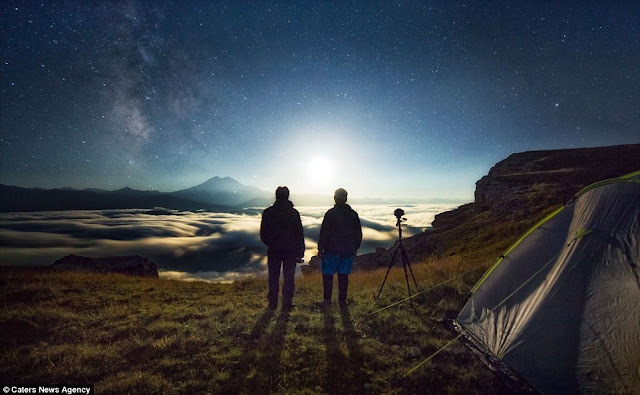 Using a Canon 6D camera and a number of lenses, Dmitriev is able to take his starry pictures with a specialized Vixen Polarie star tracker mount.